For dogs, cats and horses over six weeks of age. 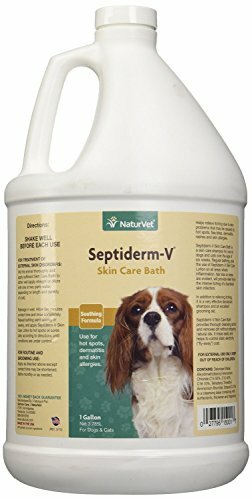 Helps relieve itching that may be caused by hot spots, flea bites, dermatitis, rashes and skin allergies. Recommended for regular bathing. If you have any questions about this product by NaturVet, contact us by completing and submitting the form below. If you are looking for a specif part number, please include it with your message.